The second highest scoring Super Bowl in history. The most combined yards ever in a Super Bowl game. And the end? Tom Brady and the New England Patriots as the losers of the big event. The winners? The Philadelphia Eagles for the first time. Nick Foles as the victorious quarterback. Things went as planned for a while. The Patriots fell behind early, as usual. At the turn of the third quarter they took the lead. But then the script flipped on them. The Eagles marched down 75 yards in 7 minutes, a drive that included a huge 4th and 1, some big connections by Foles and Nelson Agholor, and in the end, a huge leap into the end zone by Zach Ertz, which had to be reviewed. 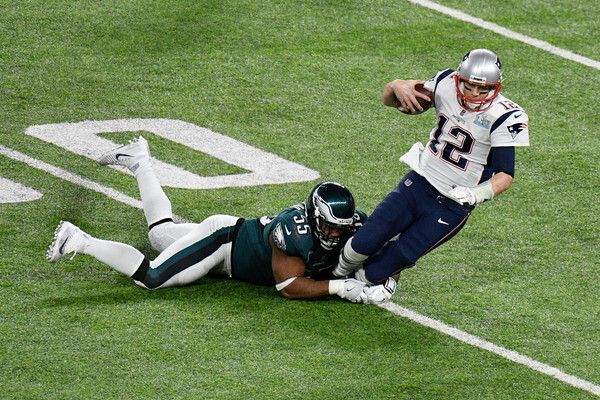 The Eagles couldn’t convert the 2 points and had 2:20 minutes to try and stop Tom Brady. Turns out, it wasn’t that hard. Brandon Graham snuck through the Pats offensive line and put his hand on the ball before Brady could begin his throwing motion. He forced the fumble, which was recovered by Derek Barnett. Brady never fumbled in the postseason, until that moment. The Eagles went too conservative, but mustered out a field goal. Just over one minute to go. No timeouts. Could Brady do it? Nope. A few completions and sideline runs, one ball spike, and it was all over. The hail mary in the end didn’t come close to breaking hearts, and the Patriots walked off the field as the losing side for the third time in the Belichick-Brady era, once again facing an NFC East team. 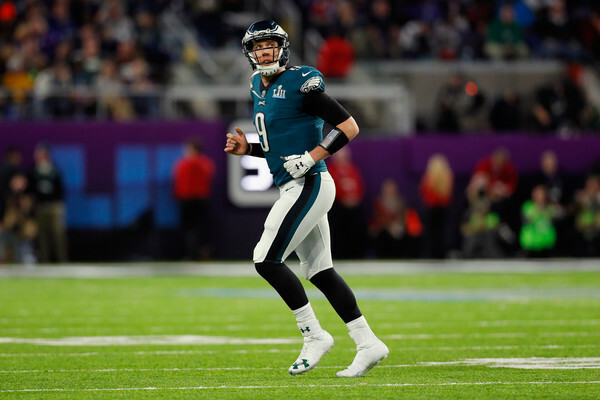 For the Eagles, Foles is the hero, but not alone. Corey Clement came up huge in the receiving game with 100 yards and a touchdown. Agholor finished with 84 yards, almost each and every one of them huge. And there was Trey Burton, playing quarterback for one moment, as he and Foles showed Brady and Belichick how to do it. The Eagles break the non-existent curse, and help the NFC East become the first division with four teams that have won a Super Bowl ring. Brady’s legacy took a dent, as Cowboys (so-so), 49ers and especially Steelers fans had something to smile about before the offseason begins.